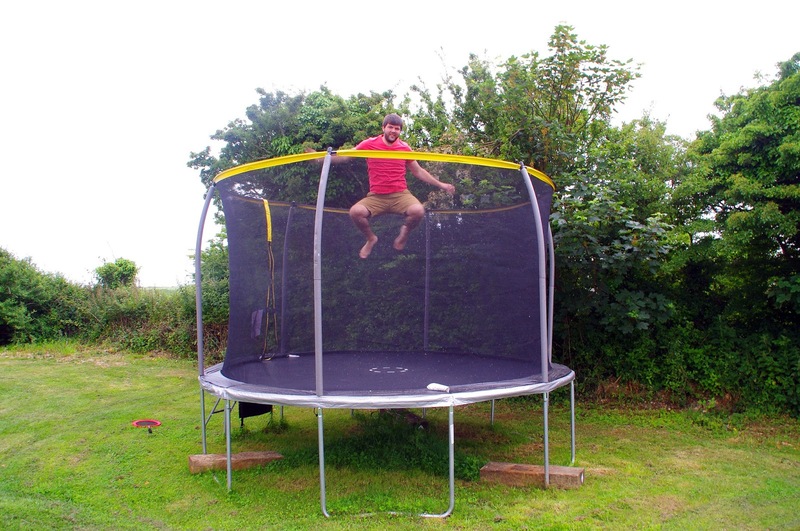 Last weekend we had our first ever Glamping experience in Cornwall with Country View Cottages & Yurts at Carnebo Holiday Barns. 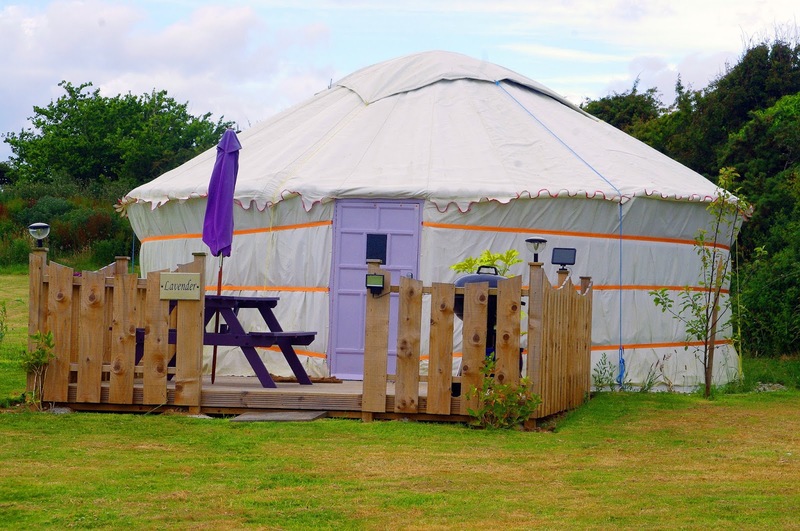 Their Yurt’s are new this season and we stayed in the ‘Poppy’ Yurt and it was such an incredible experience that I would recommend to anyone visiting Cornwall. 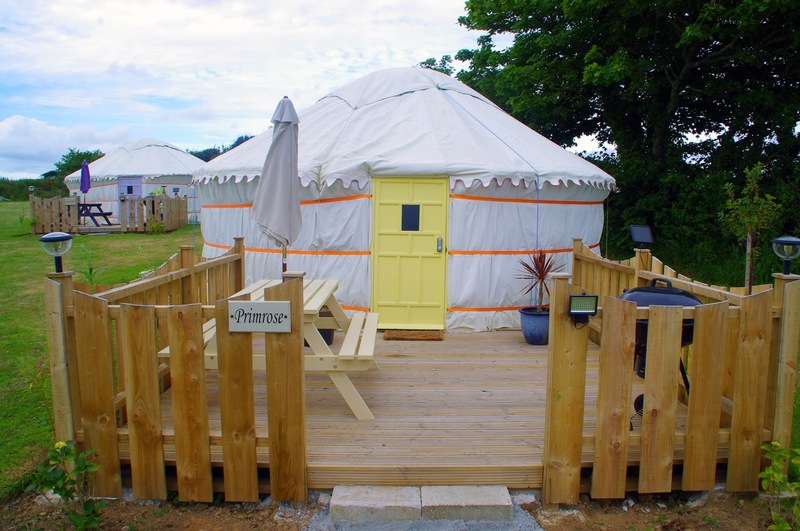 The location was perfect, being only a ten minute drive to the beautiful Cornwall beaches and gave us the perfect opportunity to enjoy nature and the beautiful environment whilst also being able to retreat to our perfect, comfortable and luxurious Yurt of an evening. 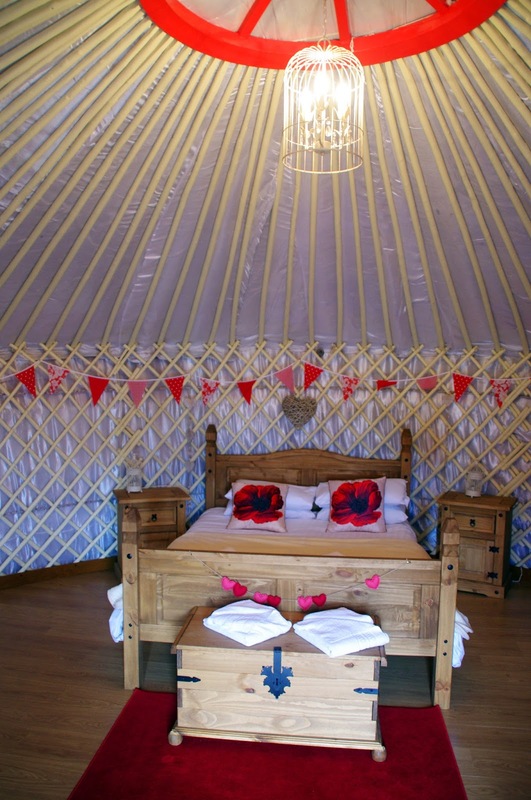 We fell in love with our Yurt the minute we saw it! 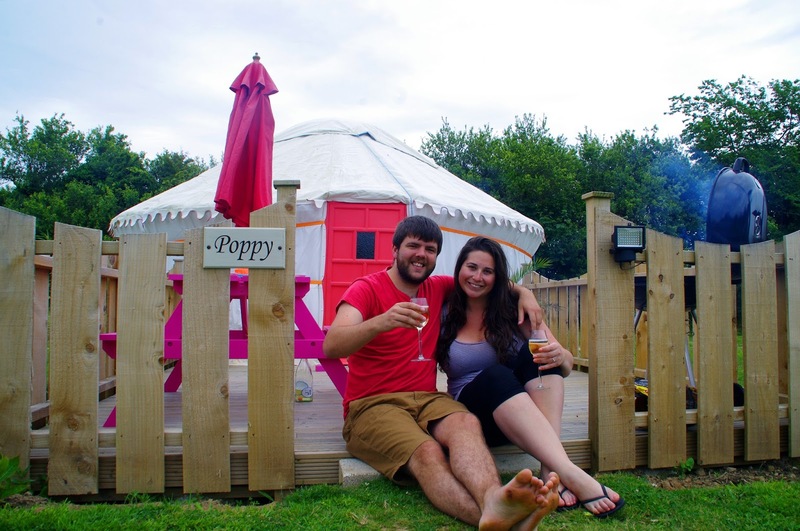 Being our first time ‘glamping’ and first time staying in a Yurt we were blown away with how we could relax in the beautiful countryside and enjoy nature whilst still having all the luxuries of staying in an apartment or cottage, but in such a unique and beautiful set up. 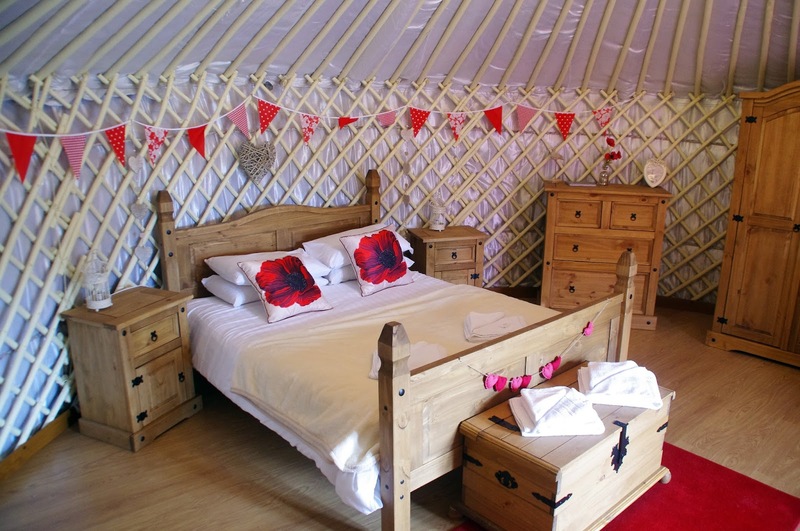 The Yurts are luxurious, comfortable, spacious and have been beautifully decorated and furnished with rustic wooden furniture, gorgeous decorations and ornaments that relate to the colour and theme of each Yurt (all are named after flowers) and lovely, romantic lighting. 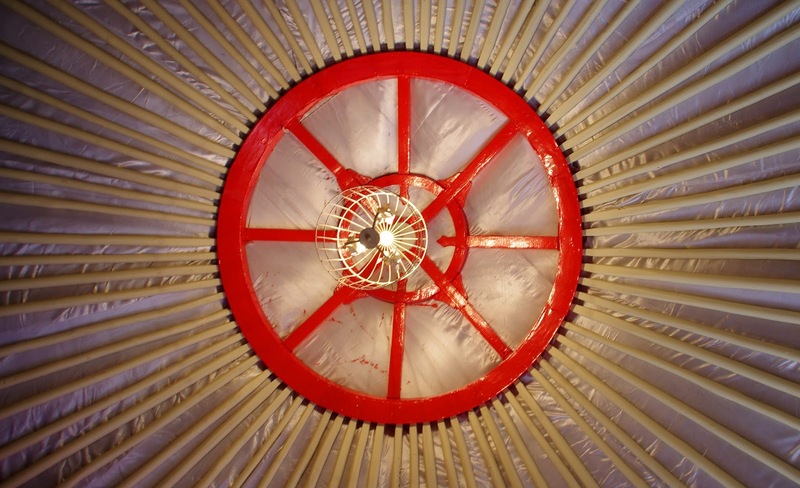 We felt at home immediately in the Poppy Yurt. 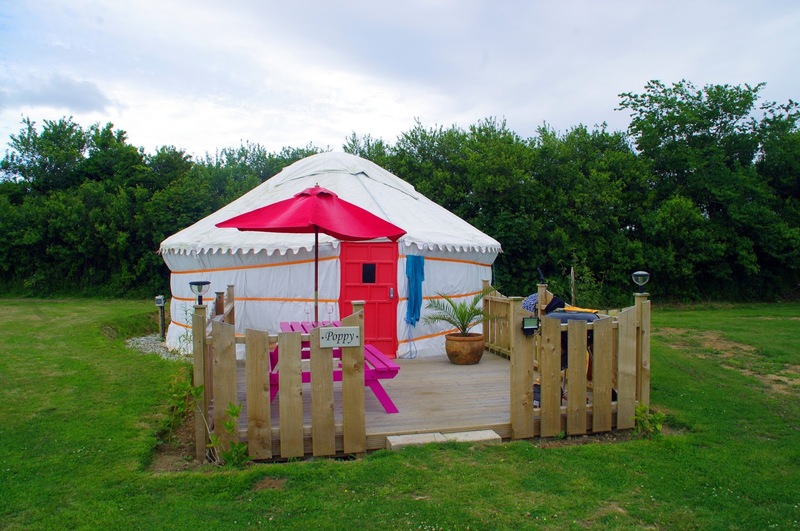 The Yurt contained a 5 foot King size bed, a day bed that turns into two single beds or an additional double bed, a wardrobe, a chest of drawers, a table with 4 stools, rugs and a flat screen TV. 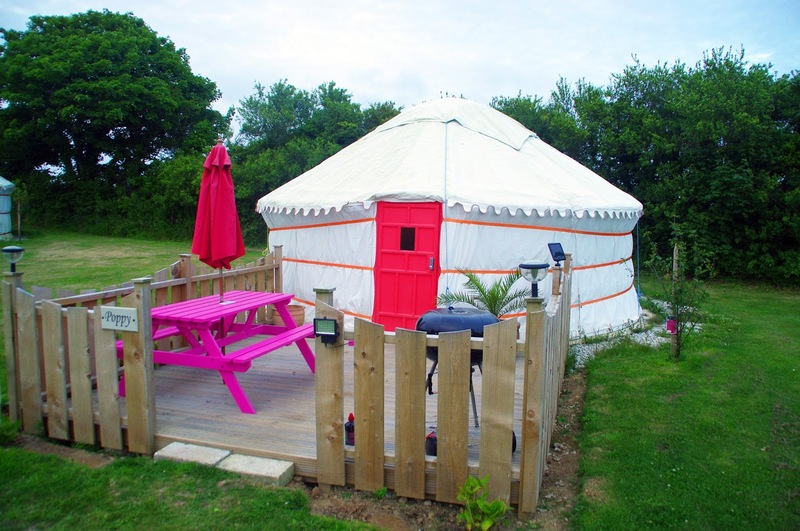 In addition, each Yurt has a private deck with seating, an umbrella and large BBQ (which we made full use of for dinners). 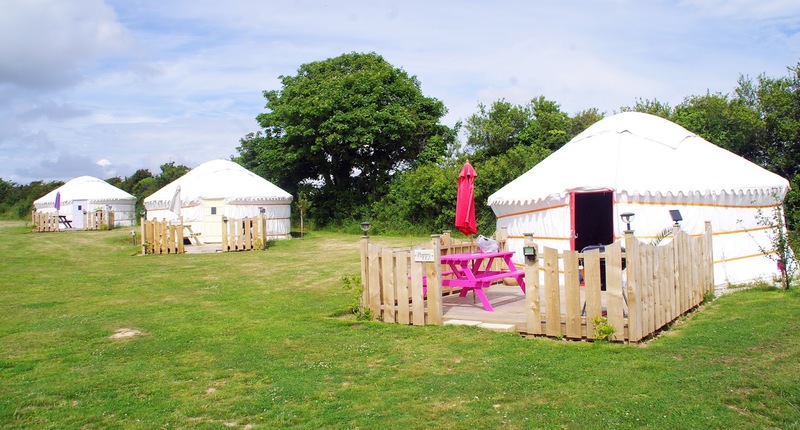 The Poppy Yurt would easily and comfortably sleep 4 people and is also dog friendly for those who like to take their furry friends on holidays! 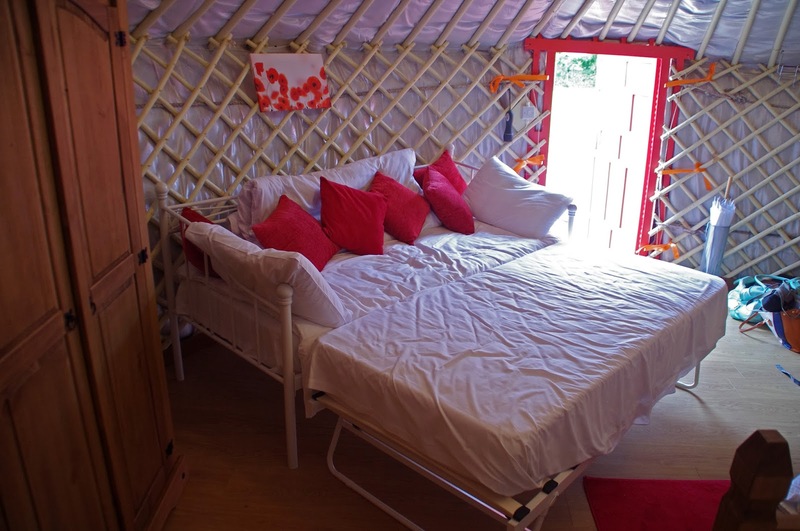 We absolutely loved snuggling up in the cosy Yurt after a big day in the great outdoors. 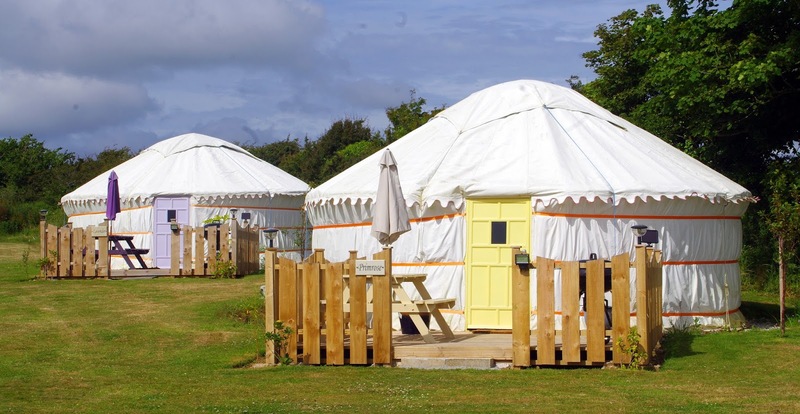 There are 5 Yurts in total and they are spread out of the site ensuring privacy and allowing guests to fully relax in nature and enjoy their stay. 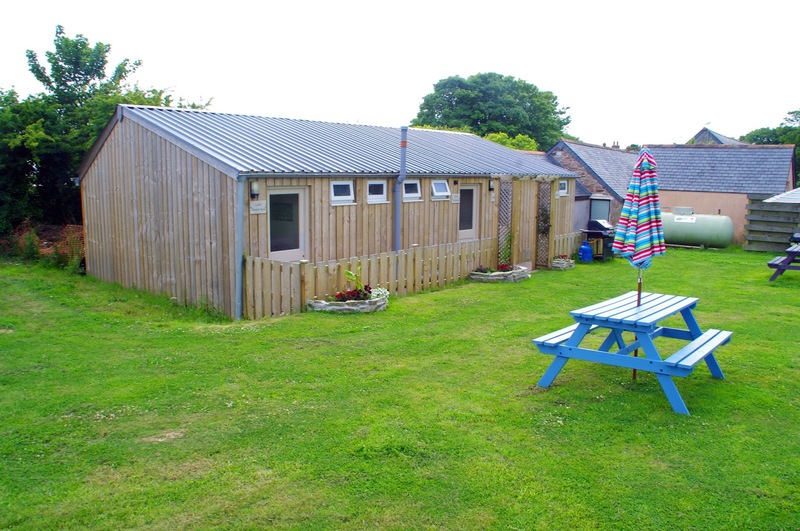 The ‘Woodshed’ building houses separate mens & womens bathroom facilities, a disabled bathroom and a communal kitchen. 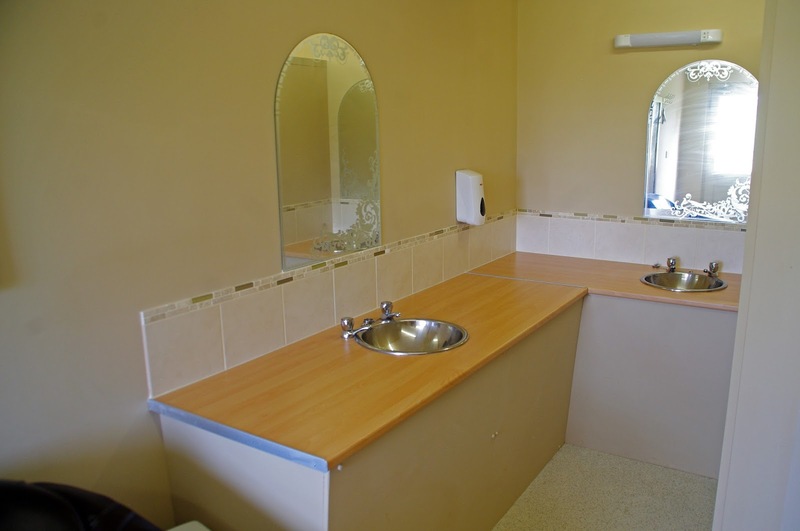 The mens & womens bathrooms each contain two showers, two toilets, two sinks, mirrors and sockets, with the disabled having a washroom and toilet. 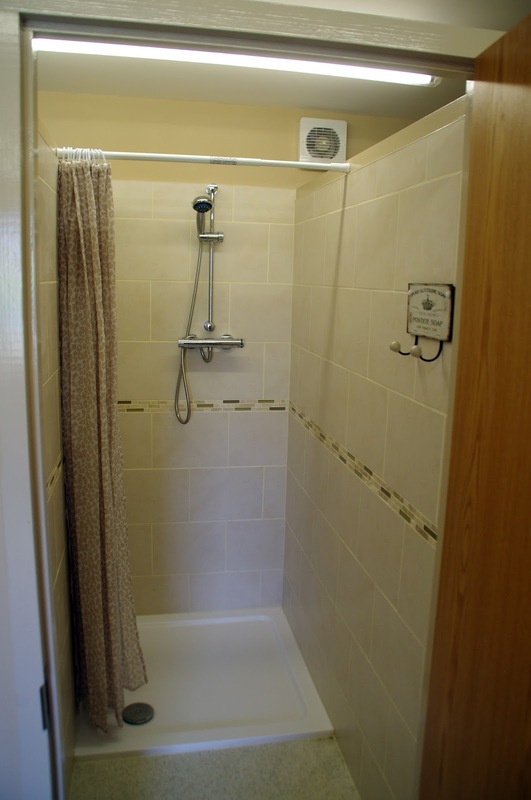 They were all spotlessly clean, with toilet paper provided and nice, hot water (to continue with the glamping theme)! 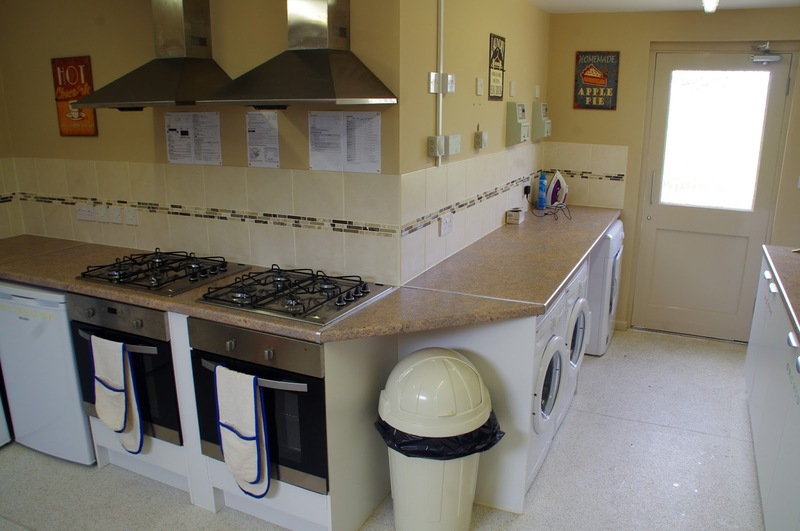 The communal kitchen is a large space with two washing machines and two metered dryers, two cookers, microwave, toasters, kettles, ironing board and iron and two sinks. 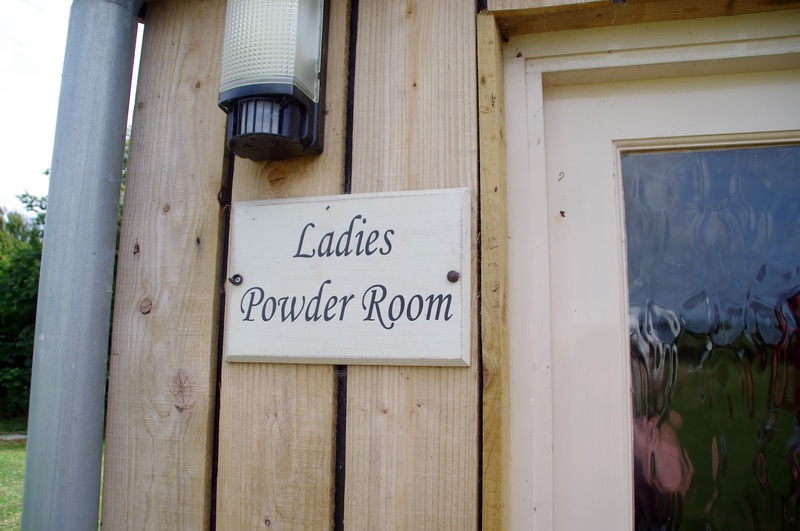 Each Yurt has their own fridge, fully stocked cupboard and an additional empty cupboard to store your food in. 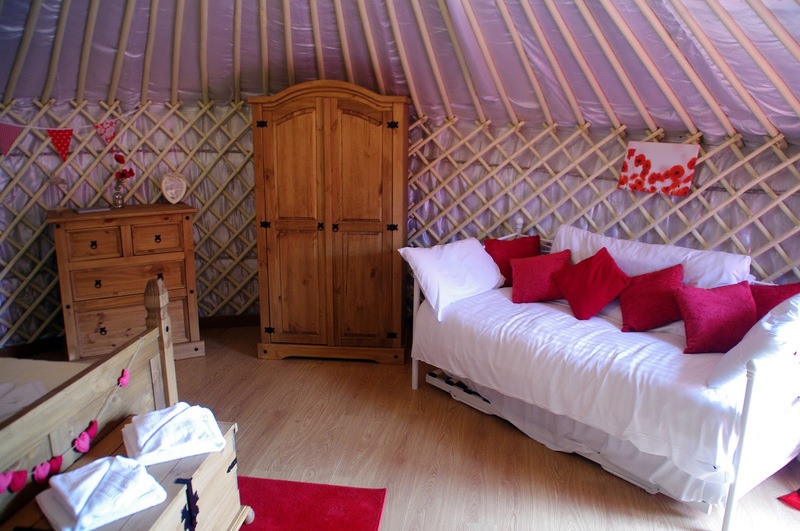 As I mentioned each Yurt has their own cupboard with everything you could possibly need provided for your stay! 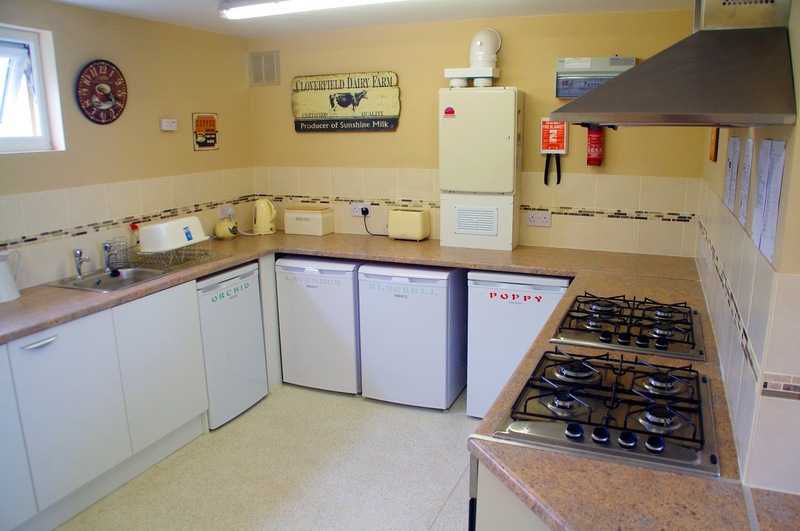 We were incredibly impressed with the extensive cooking equipment provided and the quality of it all. 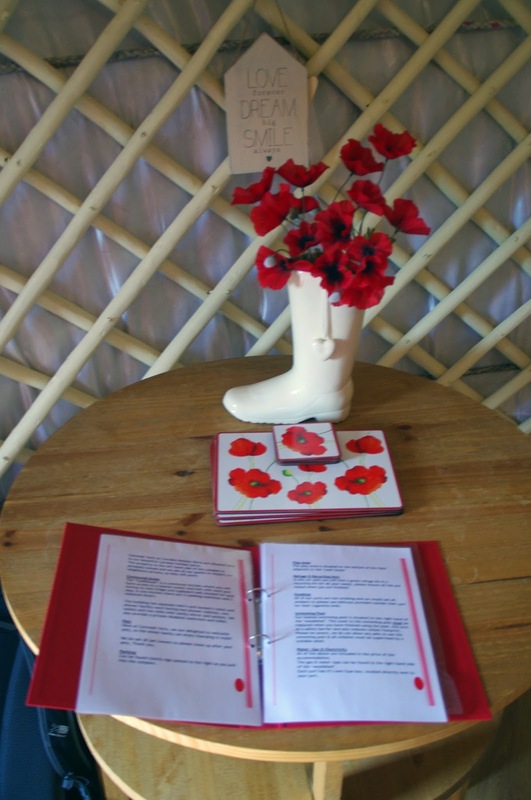 In addition, each cupboard is coloured coded to its respective Yurt (I absolutely loved this idea), and as we were staying in the Poppy Yurt all our cooking supplies were red! Everything you could possibly need to make your stay as comfortable as possible has been included, they truly have thought about everything. 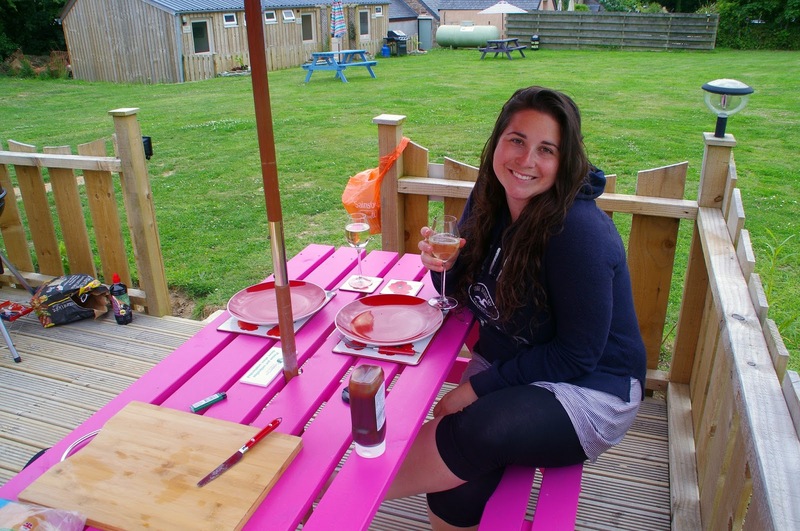 We thought the communal kitchen was such a fantastic idea and is truly a big selling point for those deciding their accommodation for their next trip. 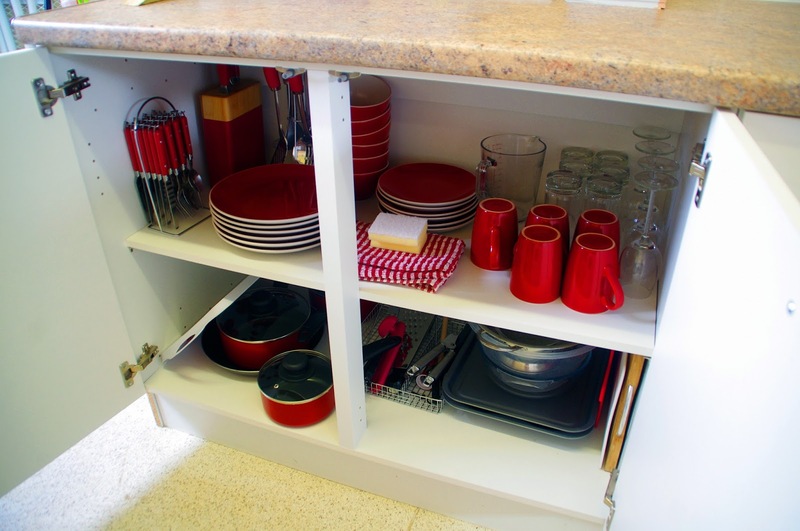 We love BBQ’s when camping but having the option of a fully equipped kitchen is fantastic as it really increases your cooking options and food storage options throughout your stay. 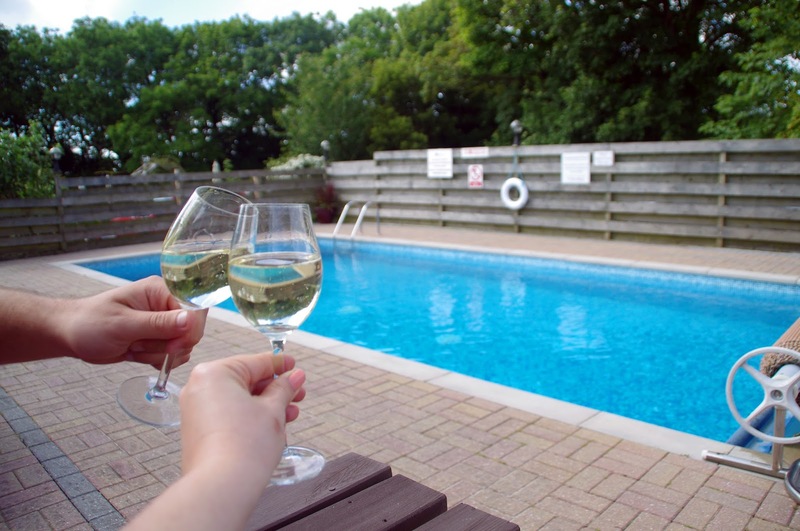 There are incredible facilities on site to enjoy including a large outdoor heated swimming pool with a large entertaining area that has deck chairs, tables, chairs, umbrellas and pool toys for the kids to use! 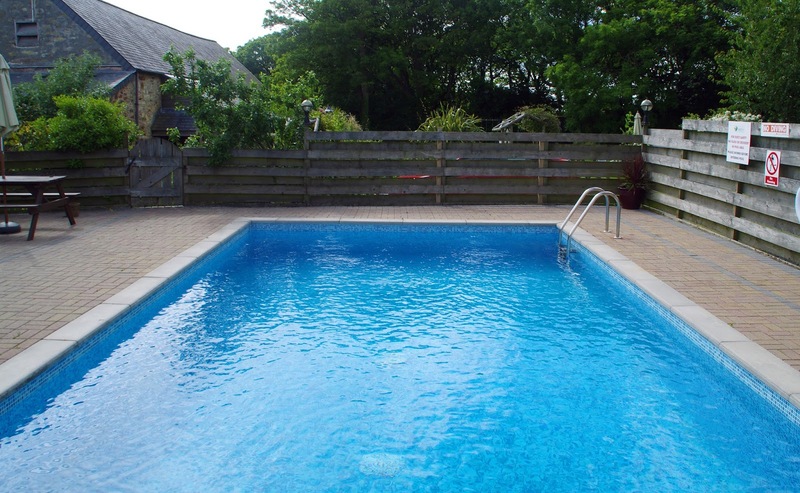 The pool is kept covered up to keep it clean and warm (and is super easy to uncover when you are ready to use). After feeling the freezing temperature of the sea that morning we were pleasantly surprised with the lovely temperature of the pool! 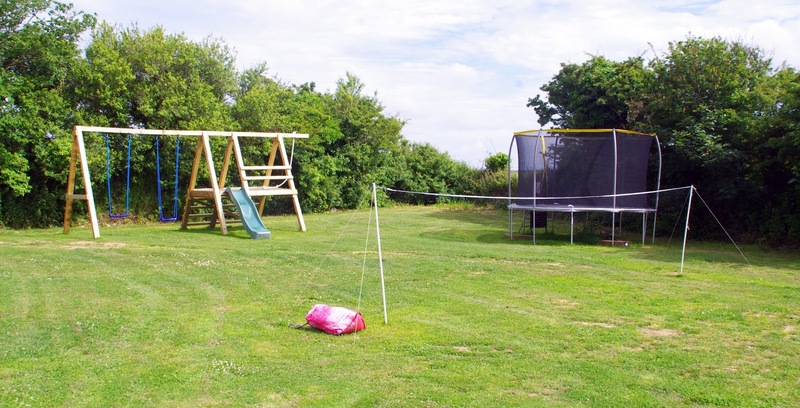 In addition to the pool there is a large playing area on the grounds for the young (or young at heart as you will see…) Included is a trampoline, tennis net, slide and swings along with tennis racquets, balls and sports equipment for everyone’s use. Everything is in excellent condition and we had a lot of fun playing in the afternoon. 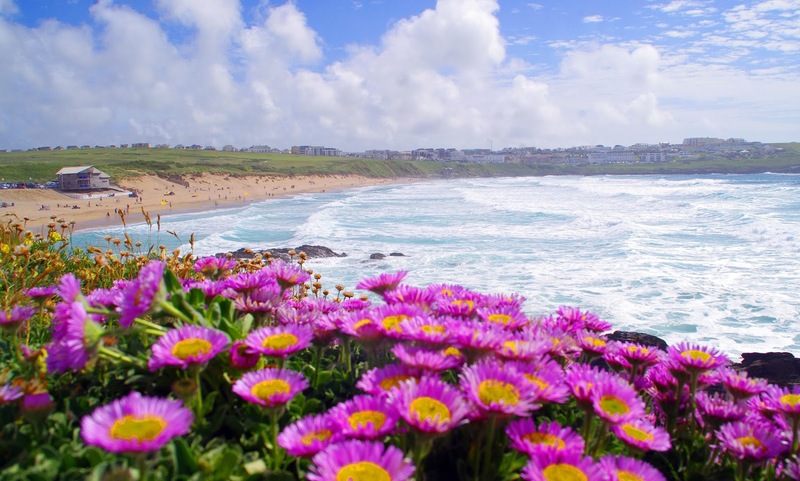 The Yurts could not have a more perfect location as they are only a ten minute drive to Newquay, Perranporth and the many miles of beautiful beaches Cornwall has to offer. 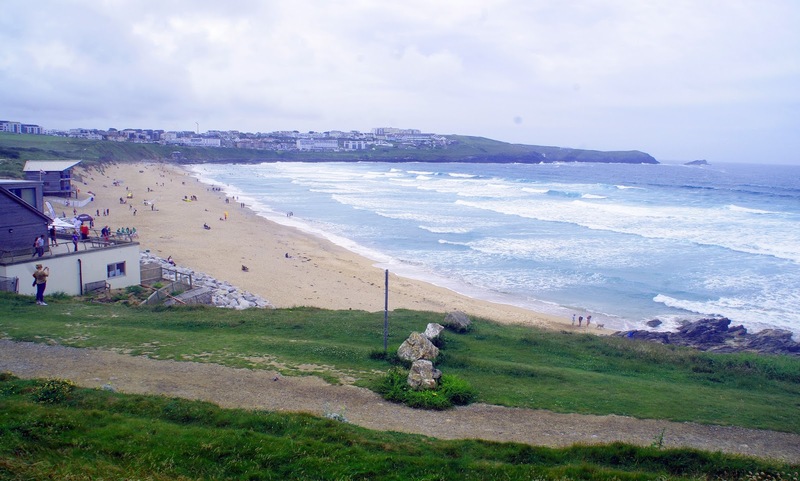 We loved the fact that despite only being ten minutes from Newquay we literally felt we were in the middle of the peaceful, natural, rural Cornish countryside but with the benefit of having the coast right on our doorstep. 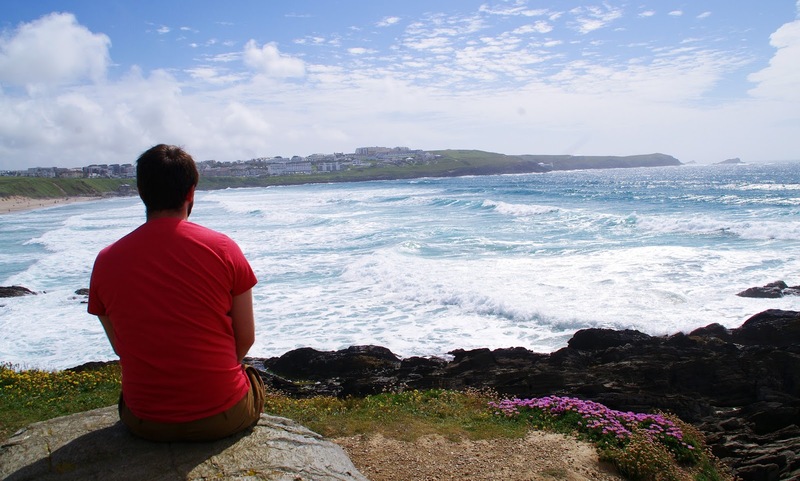 The Yurts are perfectly located to explore all North Cornwall has to offer. 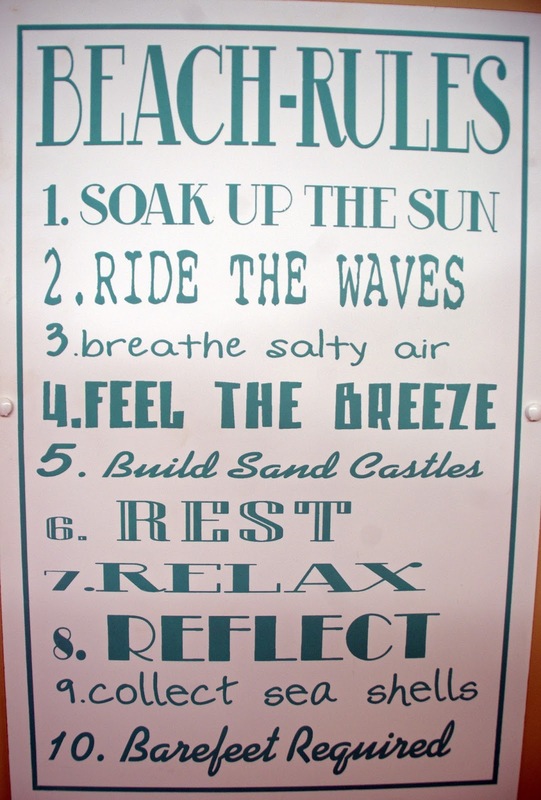 It is without doubt our favourite place in the whole of the UK. 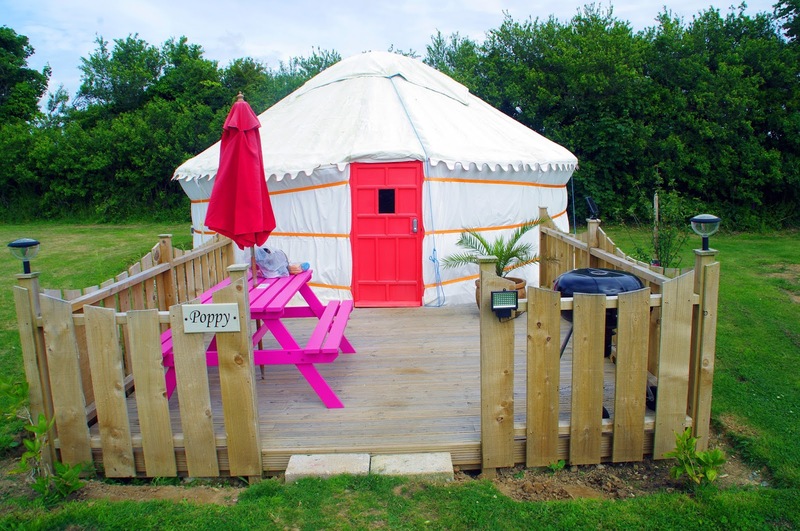 We had the most incredible weekend in our beautiful Poppy Yurt and I highly recommend to anyone visiting Newquay and Cornwall a stay in Country View Cottage’s wonderful Yurts, you truly experience the best of both worlds in your Glamping experience! 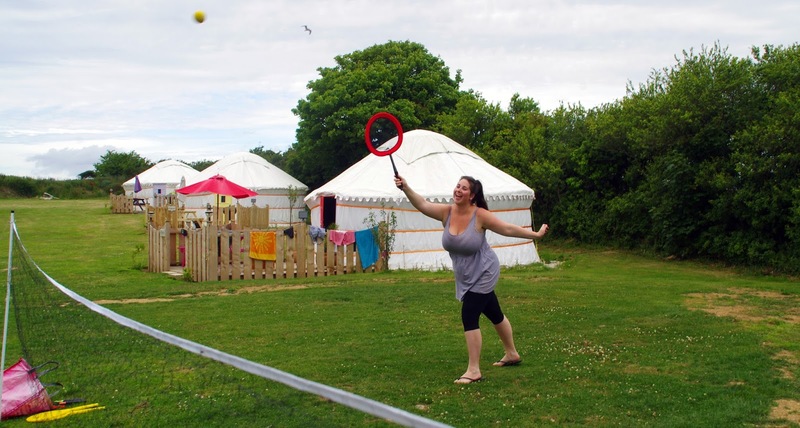 We not only fell in love with Cornwall but also our Yurt, it was such a wonderful experience and we wish we were still in our Yurt now! They are luxurious, comfortable, spacious, cosy and relaxing and we absolutely loved our stay. 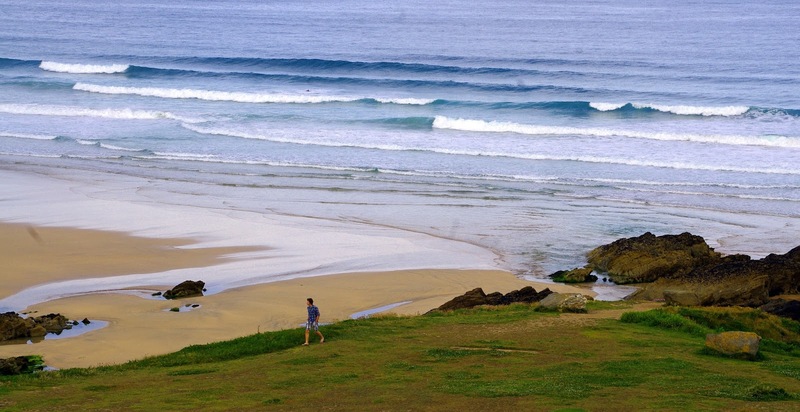 The Aussie Flashpacker was welcomed to Country View Cottages as a guest.